I am officially back to work after a wonderful holiday with my family in France and in Spain. 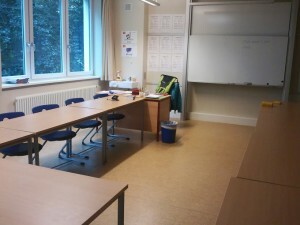 It has actually been more than a week that I am back to school but it has been a shock to the system (getting back to the routine after more than a year of maternity leave!). That is mainly why I have not blogged for a while and also because I was on holidays touring Europe. 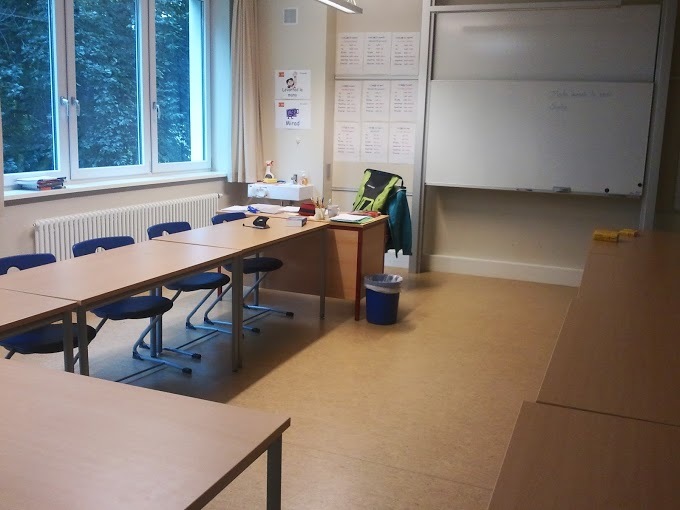 I decided to put classroom instructions and school objects for the start of the school year. I also went for a U-shape or square shape. 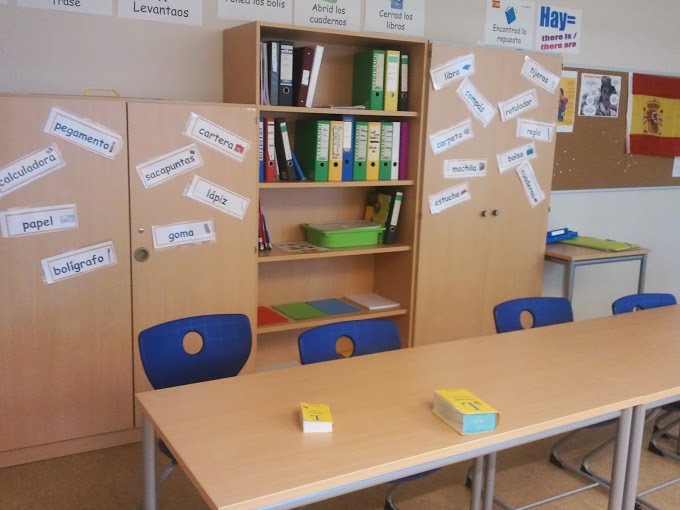 That way, I can move around freely to check students’ work and I can also stand in the center of the classroom to tell stories or to do choral repetitions of key words and structures. At first I was not use to it, so I tended to stand near to my desk but I try to remind myself to move and stand in the middle! 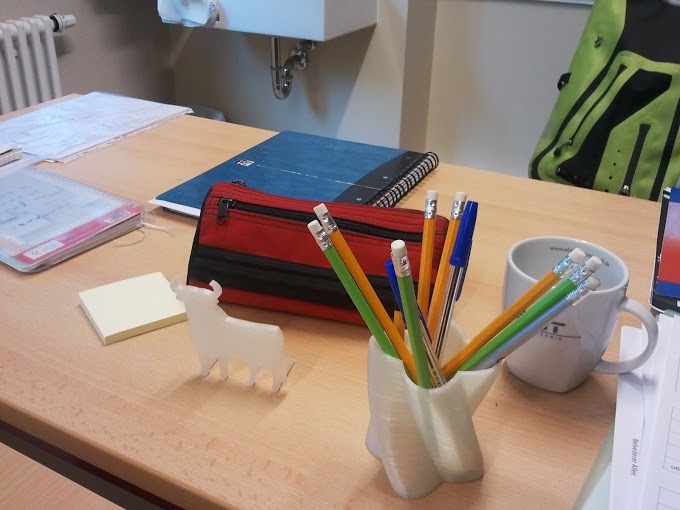 My dear man printed the bull with his 3d-printer as well a the cup to hold my pens! I hope to post a lot of resources and ideas I use in my Spanish lessons. Watch this space! What about you? How does your classroom look like? C’est très sympa de nous montrer ta salle. Disposer les tables en U est un plus pour les interactions orales c’est sûr. Encore ne faut-il pas avoir 30 élèves. Oui, enfin cela ne risque pas d’arriver chez nous. 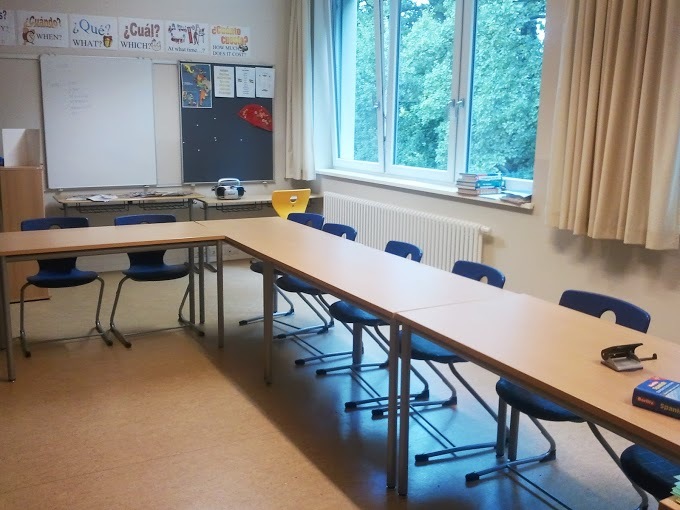 Ma classe ne peut accueillir que 16 élèves !! !